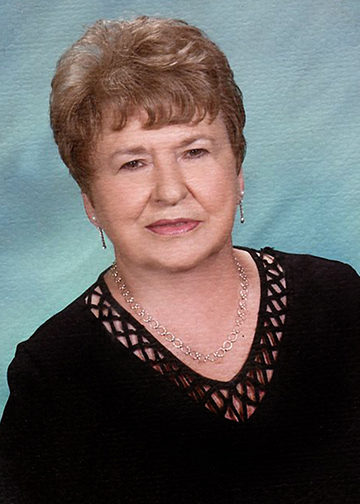 Margie Lou Lichenstein, 84, of Warren, formerly of Beaumont, died Sunday, March 24, 2019, at Dogwood Trails Nursing Home, Woodville. She was born November 8, 1934, in Tyler, to Lenoa Goodman Worthy and Marion Worthy. Survivors include her children, Jerry Carter and his wife, Brenda and Johnny Carter, all of Warren; step-children, Pat Lichenstein, of Colorado; David Lichenstein, of Beaumont; and Joey and Sherry Arena, of Beaumont; ten grandchildren; and eleven great-grandchildren. A gathering of Mrs. Lichenstein’s family and friends will begin at 10:00 a.m. with her funeral service at 11:00 a.m., Wednesday, March 27, 2019, at Broussard’s, 2000 McFaddin Avenue, Beaumont. Her interment will follow at Magnolia Cemetery, Beaumont. I am so sadden to learn of your mothers passing. Ms Carter as I always called her was my very first boss! She hired me at the Accent Corner when I was in high school. She taught me well and for that I am enternally grateful. I saw her many times over they years and it was always a pleasure to spend time with her. She was a wonderful person! Johnny you may remember me if you think back. You and Steve spent many an evening riding around in my car! I am so sorry to see the Steve has passed away! Pat you sat in front of me in typing class. I was a junior and you were a freshman. Please accept my deepest sympathies. Rip Ms. Carter! My Deepest and Sincerest Condolences to you David and your Family for the loss of Mrs. Margie. Who doesn't have a fond memory or story to tell. about her or even Louis. Heaven has gain a Great Lady. RIP Ms Margie ... mom was so appreciative of your kindness for picking her up for church on Sundays . She misses you ! Sorry for your loss, Jerry !! I know she’s having a great time dancing with the angels !!! My prayers are with family for your loss. Jerry, Johnny, & famoly, So sorry to hear about your Mom. My prayers are with you and your family at this time. May God give you peace at this sad time. I am so sorry for your loss. Margie and my father worked together years ago. I always loved visiting with her . My prayers are with your family at this time.. RIP Margie. Margie was such a sweet and special lady. She will be missed by everyone who ever had the good fortune to meet her. Go party with the angels, Margie. RIP my friend. You will be greatly missed. We loved Margie so much. We will never forget our trip to Baton Rouge with Louis and Margie in the RV,a for the LSU game. May you rest in peace.